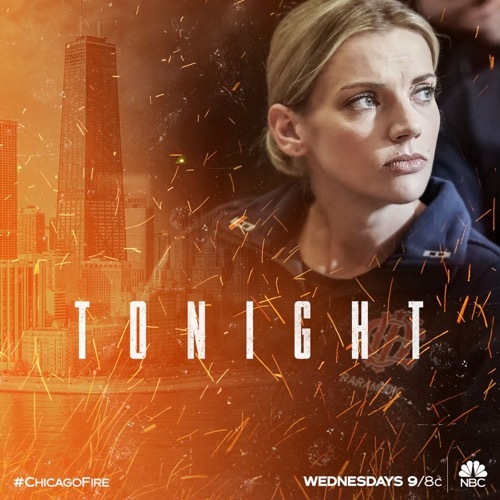 Tonight’s Chicago Fire season 7 episode 6 looks like it is going to be great and you won’t want to miss it. While you’re waiting for our recap make sure to check out all our Chicago Fire recaps, news, spoilers & more, right here! Gorsch tells Boden that he will be conducting the morning briefing and from here on out, he will supervise 51 on their calls. At the briefing, nobody seems impressed. Thankfully there is a call that ends it. Severide is the first one on the call and wonders where Boden is. Casey figures out right away that it is probably gas leak. They go in and start to save lives, Severide and Casey find two people in one room, they are both dead and when they go in the bathroom they find that it was a susicide pact, there are enough chemicals in the bathtub to kill everyone in the hotel. They are still trying to save as may people as they can. A woman tells Otis that her son is missing and they have to find him, he was playing hide and seek in the hallways. They are doing a sweep of the hotel, but time is running out. Gorsch is trying to get an update on the search but nobody will answer him. The boy is found, he was beside a vending machine. Matteo, the young boy, has a pulse. Sylvie asks Otis to help her get off the contaminated clothes while they insert a tube to help the boy breathe. The boy goes into cardiac arrest and they have to shock him while his mother is there, they get a steady ryhthm. Severide announces that everything is clear, all the survivors are out. Back at the station Boden asks about the call, everyone agrees it was weird. Hermann tells Boden that Gorsch is out of control. Joe comes in and says that they all have to learn Spanish, the boy could have died because of the language barrier.Chaplain Orlovsky is there and he announces that he is retiring. The new chaplain arrives, it is Kyle Sheffield and Emily knows him. Gorsch goes into Boden’s office and tells him that he is upset at the insubordination, it is like rank means nothing to the people in 51. Boden says that it doesn’t sound like the people he knows, Gorsch is filing formal reprimands. Boden says he will fight everyone of those charges, Gorsch says he can’t he wasn’t there and he is the one who is going to whip 51 into shape. Severide and Boden talk in the bathroom, Boden apologizes for Gorsch and says that he doesn’t see a way out. Naomi is in the station to meet with Casey, she tells him that the success of her last piece was so good that she would love to work with him again. Cruz is still trying to get everyone to learn Spanish, Hermann doesn’t want to have anything to do with it. Kidd tells Cruz that he is going about this all in the wrong way. Naomi asks Casey out to dinner, so they can discuss some of the cases in more detail. Casey tells her that she reminds him of someone he once knew. She promised to text him the restaurant and they shake hands. Foster is making ghosts out of gauze and Brett asks what is her relationship with him. Foster says there nothing but says that she did notice a connection between her and Sheffield, Brett denies it. Brett and Foster respond to a call, a little girl is sick from candy, Brett says her pupils are dialated, she is high out of her mind. It turns out that the father had a stash of edibles and the little girl got into it. She starts to have a seizure and they have to inject her with something to save her. Cruz is still trying to teach Spanish, but uses a different approach, a movie with a woman in her underwear getting into bed with a man; its a soap opera and catches everyone’s attention. Foster is still pushing to Brett that she had a connection with the new chaplain and should try to connect with him. Naomi and Casey are out to dinner, she takes care of the bill and asks if she can text him follow up questions, he says yes. Then Naomi asks if she can see him again and goes in for a kiss, he pulls back. Naomi tells him when he figures things out to give him a call. At the station, the guys are again watching the Spanish soap opera and Cruz can’t believe it. Severide tries to meet up with Benny, but no luck. It turns out that Benny had a stroke, Severide runs to the hospital but it is too late, his father passed away ten minutes before he got there. Boden gives the news to 51 about Benny. Kidd is with Severide and the rest of the squad arrives. The cleaning lady found Benny. Chaplain arrives and tells the squad that Severide neads their love and their sympathy, he needs to know they care. He goes on to say that he has an office in the hospital and his door is always open. Boden goes to see Gorsch to tell him why he let 51 out of service. Gorsch says that Commissioner Grissom has called him into headquarters and said his time would be best used outside of 51. Severide goes to sit in the chapel, Boden goes to sit beside him. Severide says that last thing he said to Benny is that Boden was a better father to him and that he did nothing for him. He only asked him for one thing, despite everyone telling him not to. Boden tells Severride that Benny stepped up, he called Grissom and Gorsch is gone, he will be backing off 51. Severide starts to cry.